Here you can find all info about the clone only cannabis strain Afghani Bullrider. If you are searching for information about the clone only Afghani Bullrider, check out our Basic Infos, Lineage / Genealogy or Hybrids / Crossbreeds for this cannabis variety here at this page and follow the links to get even more information. If you have any personal experiences with growing or consuming this cannabis variety, please use the upload links to add them to the database! Afghani Bullrider is an indica variety, listed in our database as a clone only strain and can be cultivated indoors (where the plants will need a flowering time of ±49 days) and outdoors. .
What do we know about the clone-only Afghani Bullrider? As the story goes, Afghani Bullrider derived her name from an African-American man who was a professional bullrider and passionate about growing marijuana. The bullrider grew seeds that were given to him, and when the crop was harvested, he invited some friends over to smoke. It was then that one of his friend remarked that he felt like he'd just been riding a bull, and the name stuck. Since the 80's this strain has shown up all along the west coast, from southern California to Vancouver. Afghani Bullrider is a strain that has both light green and yellow buds accompanied by a plethora of orange hairs. This strain smells intensely fruity and sour at the same time, and the taste has been described as refreshing and piny. Known to be a heavy hitting indica dominant strain, the effects start in the head and quickly turn into a heavy body high that slows the cognitive process. This strain is best suited for evening use and would work well for those patients suffering from insomnia and chronic pain issues. Click to show all parents of Afghani Bullrider in our dynamic family tree map. Do you know something more about Afghani Bullrider? Please help to make this database better and upload/connect your information here! Pictures speak louder than words! Upload your "Afghani Bullrider" Photos here and help other growers to get a better impression of this variety. You have grown Afghani Bullrider together with another variety? Please fill out our Strain VS. Strain direct comparisation form! Our strain reviews are multilingual, searchable and can be very detailed - including data about the grow, aroma, effects and taste! 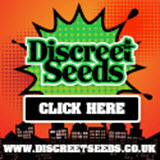 Please upload your Afghani Bullrider Review here to help the other seedfinder users! You have experience with the medical qualities of Afghani Bullrider? Sharing your information here maybe can help other people! You've stumbled upon a Afghani Bullrider related thread into a forum or growers community? Connect it here and enable othe users to find this information fast and easy! You found a related video with additional information or grow-infos about Afghani Bullrider on YouTube? Please connect it here to the strain info page!